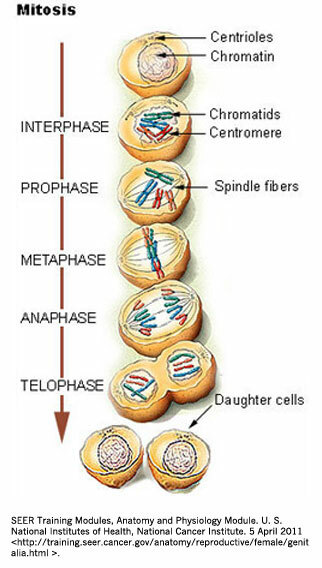 Anaphase is the stage of cell division (mitosis or meiosis) during which chromosomes separate and are pulled toward opposite poles of the cell by the spindle in preparation for cell division. In meiosis I, homologous pairs of chromosomes separate, resulting in two haploid sets of chromosomes, a reduction from the diploid set of chromosomes present at the start. In mitosis and meiosis II, sister chromatids separate.